Larry Seaquist, the former state rep from Gig Harbor, says Tacoma Narrows Bridge tolls should be one-fourth of what they are, and he’s asking the state Transportation Commission, which is responsible for setting rates, for help. It’s a matter of fairness, he says, and I’ve selfishly made the same argument myself. Why do we have to pay for every penny of our project when nobody else does? It wasn’t so bad when tolls were $1.75. On July 1, they’ll jump another 50 cents to $5 for the cheapest rate. My wife and son both commute that direction. That’s $50 a week between them, $200 a month, $2,400 a year. After awhile, it’s real money. In a letter, Seaquist says tolls should be cut to $1.25 now and top out at $1.50. That would pay for about one-fourth of the $729 million bridge, the percentage the state is asking from 520 floating bridge users for their $4.65 billion project. But if the tolls are cut, how will the bridge be paid for? The Legislature has been discussing a $15 billion transportation revenue package funded primarily through an 11.5 cent gas tax increase. Seaquist says reworking the bridge deal would take just 2/100s of 1 percent of that. I’ll trust his math. In a way, I feel we made a deal, we should honor it. Who do we think we are? Pro athletes? The bridge is everything it was cracked up to be. Unfortunately, at least for now, it just pushes the backup a few miles down the road. At the same time, Gig Harbor and South Kitsap residents, who would be the primary users, fought it all the way. It wasn’t about the bridge, but the tolls. An advisory vote on the bridge was extended to most of western Washington to get a favorable response. Those nearest were overwhelmingly opposed. I don’t remember this, but Seaquist says the bridge financing was a test case, after 40 years without any tolls, to see if the state could charge users for large projects and stay away from the gas tax. Evidently, they didn’t like the results, because the Narrows became a one and only. A $15 billion gas tax package would demonstrate the state is abandoning tolling altogether. This would be outside the Transportation Commission’s realm. It’s just responsible for keeping tolls high enough to pay for bridge debt, operation and maintenance. But Seaquist is asking them, as the state’s tolling authority, to tell the governor and legislator the experiment didn’t work. “It is not fair that our tolls should go up when the state has abandoned the 100 percent rule, has walked away from mega-project tolling and is planning to raise our gas taxes so we can help pay for everyone else’s new highways, too,” he wrote. Randy Boss petitioned the Washington State Transportation Commission Tuesday to eliminate a policy that requires Tacoma Narrows Bridge tolls to be used to maintain a sufficient minimum balance, or reserve fund. The longtime bridge watchdog and new member of the Narrows Bridge Citizen Advisory Committee has long railed against the reserve fund, which is 12.5 percent of the bridge’s annual costs. He presented the same arguments in his petition. First off, he claims it’s not a legal cost that can be passed on to toll payers. The commission must set tolls in amounts just enough to pay for the bridge’s financing, operation, maintenance, management, insurance and repairs. State code doesn’t mention a reserve fund. In 2010, three years after the bridge opened, the Transportation Commission approved a new policy to establish the sufficient minimum balance. Boss said policies have to be filed with the code reviser, who has no record of that happening. He also states that state code requires the change to be made by rule, not a policy statement. State law says policies are advisory, and an agency is encouraged to convert long-standing ones into rules. The policy states that the bridge has an insurance policy providing toll revenue coverage if it is damaged and shut down for more than 10 days. However, it doesn’t apply to unanticipated losses in tolls from decreases in traffic volumes, like if a catastrophe happened to the highway leading to the bridge. The Transportation Commission got an opinion from the Attorney General’s Office, the state’s legal arm, saying the sufficient minimum balance is legitimate. It said the Legislature granted the commission broad discretion to determine conditions that warrant a change in the toll rate, and the sufficient minimum balance is legal unless it abuses that discretion. Boss says the opinion comes from the assistant attorney general assigned to the commission, is biased and rephrased to question to whether the reserve fund was consistent with the commission’s toll-setting authority, not whether it was a legal charge to toll payers. By the end of this fiscal year, there’ll be $12.4 million in the reserve fund. If it was eliminated, there would be no need for a 50-cent toll increase on July 1. In the long run, there would be no overall savings because the bridge cost remains the same. Money in the reserve fund eventually pay for the bridge. Without it, however, current toll payers could slough the costs off to future ones in the 2030s. Boss made motions at a couple citizen advisory committee meetings to eliminate the sufficient minimum balance requirement, but nobody seconded them. The Legislature could once and for all kill the argument, which occurs at nearly every citizen advisory meeting, by changing the reserve fund policy to a rule and clearly include it as a legal expense. The Transportation Commission must respond to Boss’ petition within 60 days. Darrell Bryan, president and CEO of Clipper Navigation for most of its 29 years, is retiring. Kind of. 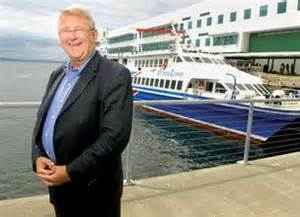 I used to speak to Darrell quite a bit when the state and others were trying to operate passenger-only ferries. Clipper ran the same type of high-speed catamarans, and Bryan was considered an expert. He was also a great guy to talk to. Bright, funny, always seemed happy to take my call. You don’t see that so much anymore. 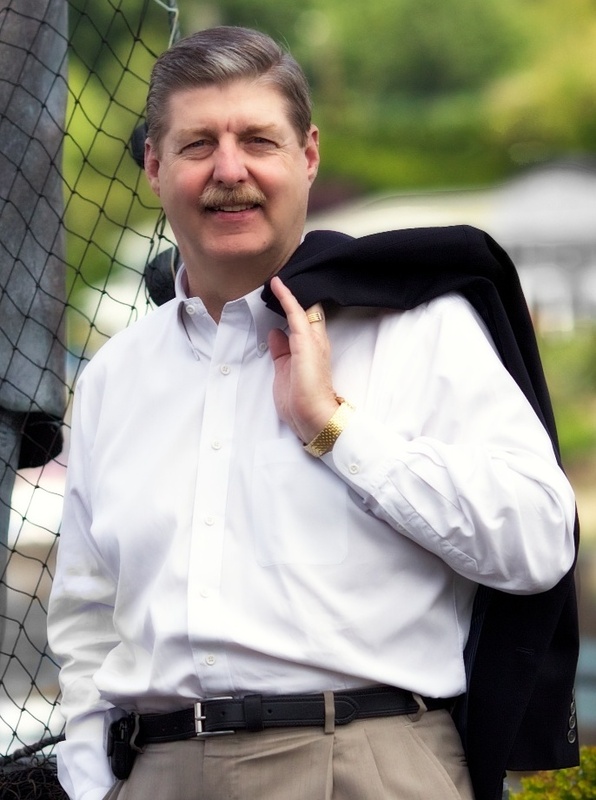 Darrell will retire on May 1, but continue as a co-owner and advisor. Merideth Tall, who with a partner founded Clipper almost 30 years ago, will take over as CEO and chairwoman. I wish them both good luck. For the first summer, those planning to vacation in the San Juan Islands can lock up a spot on a particular ferry sailing instead of not knowing how long they’ll have to wait for a boat. 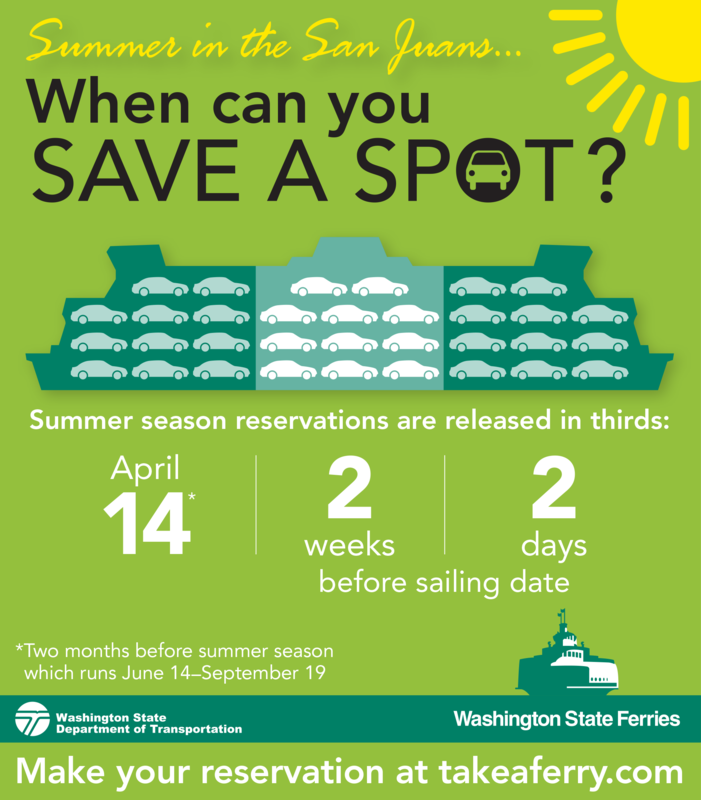 Washington State Ferries has begun taking reservations for the summer sailing schedule — June 14 until Sept. 19 — on the Anacortes-San Juan Islands route. Customers can reserve a spot for their vehicles as much as two months before the summer schedule takes effect. To accommodate those who plan early and those who travel closer to the sailing date, San Juan Islands reservations are released in three staggered tiers. More will be released two weeks in advance, and again two days ahead of each departure date. Each tier gets 30 percent of the spots. The remaining spaces are set aside for emergency vehicles, customers with medical preference and standby customers. The ferries system is also taking summer reservations for the Port Townsend-Coupeville and Anacortes-Sidney, British Columbia routes. Online reservations are available, or call (888) 808-7977. Just found out there are four new cameras showing Highway 305 near the Bainbridge ferry dock. You can now see each direction at High School Road and Winslow Way. WSF’s Susan Harris-Huether requested them and DOT followed through. Now you can see how far backed up ferry traffic is before you become part of it. Cameras are pretty handy for newsies. If you hear on the scanner or through social media there’s a wreck or police activity, you can dial up the closest ones for a peek. Unfortunately, traffic hasn’t gotten back enough to have many of them installed around here. Not long ago they set up several on both sides of the Hood Canal Bridge. I think that was for boat openings and maybe when they were renovating the bridge. There’s one on Highway 3 at Sam Christopherson Avenue, just south of Gorst. I don’t know how that came about. I’d like to hear the story behind it. There are cameras at all the ferry docks and a string of them heading east on Highway 16 starting at Purdy. Where else would be good places for them?